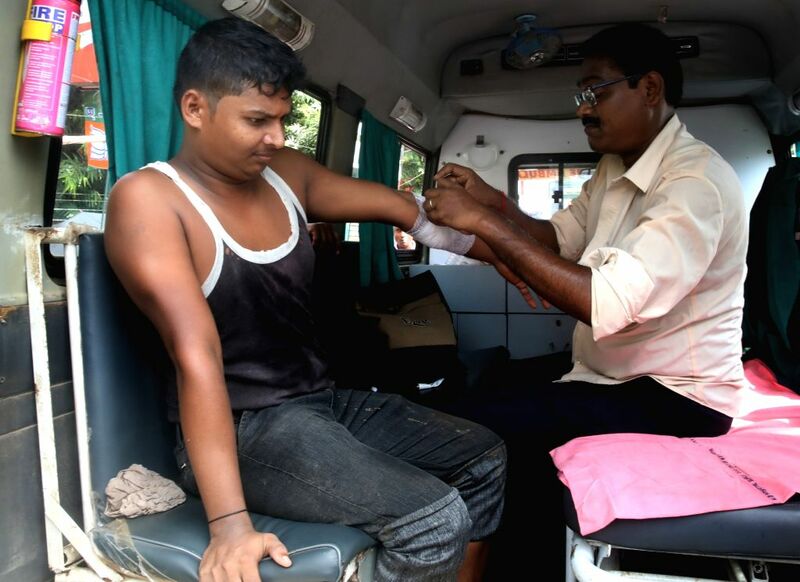 Midnapore: An injured being given first aid after a part of the canopy collapsed at Prime Minister Narendra Modi's âKisan Kalyanâ rally, in West Bengal's Midnapore on July 16, 2018. 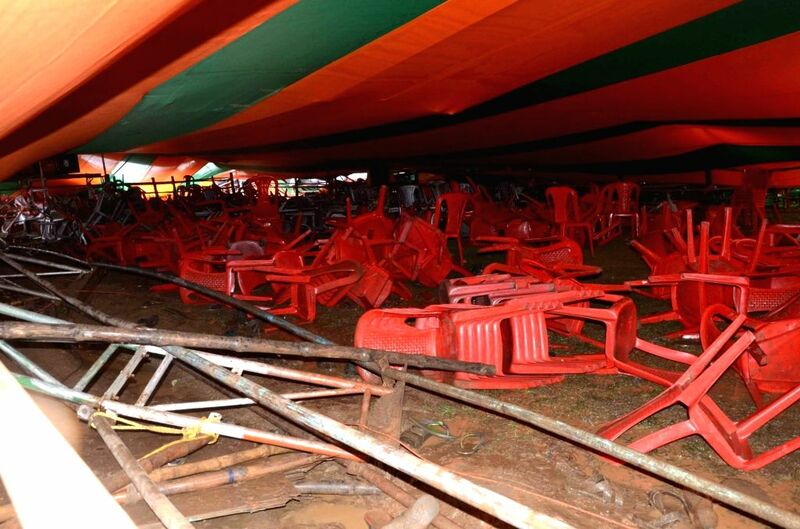 At least 20 persons were injured in the incident. 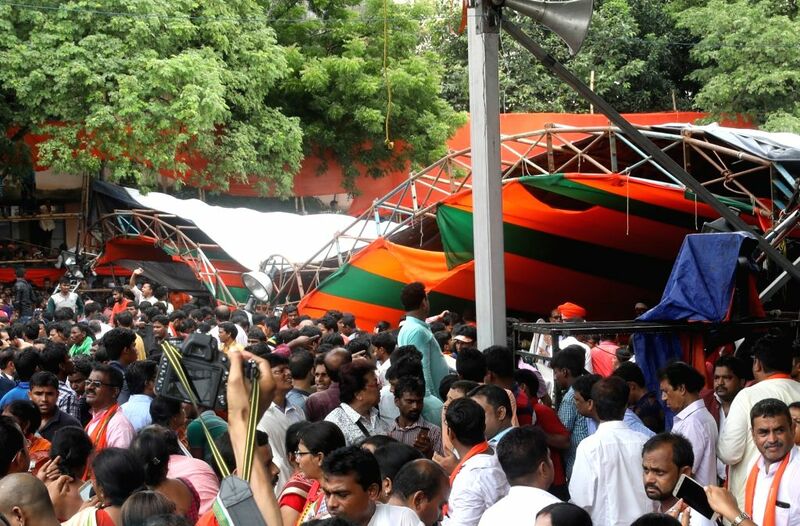 The injured were rushed to the Midnapore Medical College and Hospital in ambulances in the Prime Minister's convoy and even motorcycles. 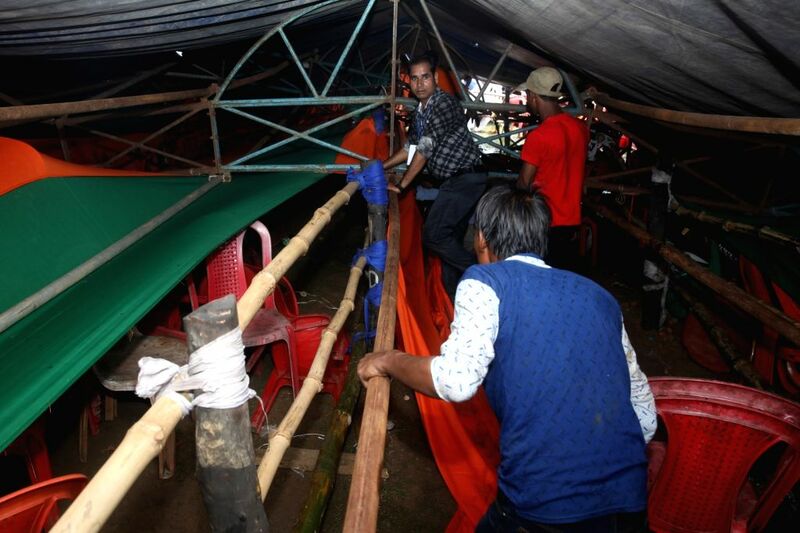 Part of the canopy that collapsed at Prime Minister Narendra Modi's âKisan Kalyanâ rally injuring 20, in West Bengal's Midnapore on July 16, 2018.